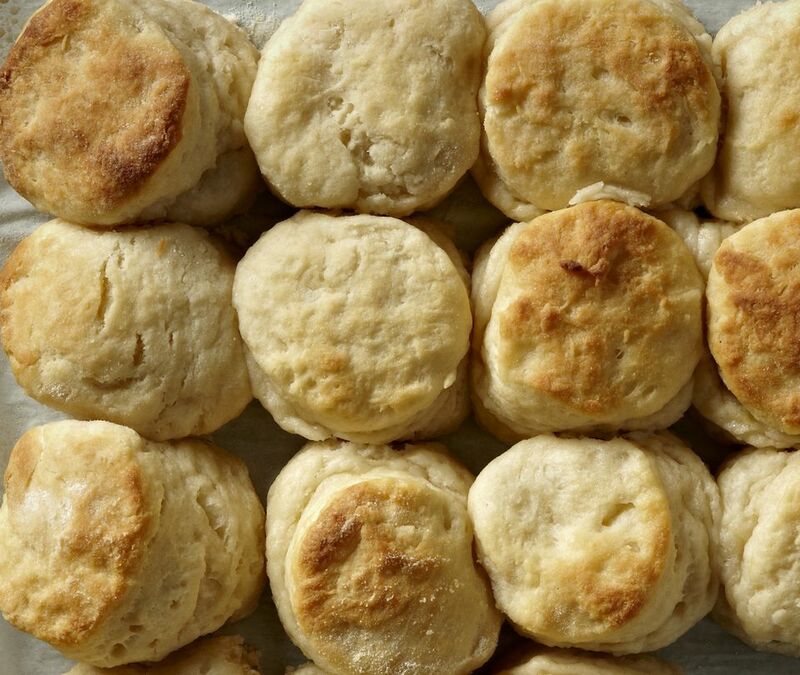 This homemade breakfast biscuit recipe is courtesy of the Wheat Foods Council. First, pre-heat the oven to 450 F.
In a large bowl, stir together the flour, baking powder, and the salt. Cut in the shortening until the mixture resembles coarse crumbs. Make a well in the dry mixture and add in the milk all at once. Stir together with a fork just until the dough clings together. You want it to still be a bit lumpy; this will help your biscuits be perfectly light and flaky and create those delectable and airy layers when baking. Lightly flour a kitchen work surface and then gently knead your biscuit dough on this lightly floured surface just for 10 to 12 strokes. Next, roll out or pat the dough to about a 1/2-inch thickness. Cut the dough with 2 1/2 inch biscuit cutter; dipping the cutter into flour between each cut. If you don't have a biscuit cutter, you can also use a knife, or even kitchen shears if you have them. Place each piece of cut dough on an un-greased baking sheet. Place the un-greased baking sheet in the preheated oven and bake until your biscuits are lightly golden brown on top, about 12 minutes. Like breakfast tacos? Try this breakfast burrito!